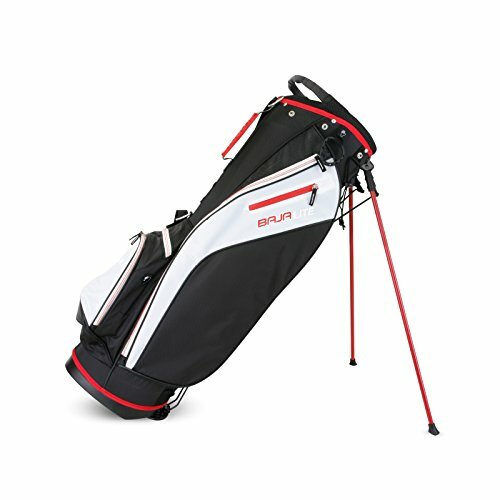 Make carrying your clubs on the course a breeze with the Baja Lite stand bag. Lightweight design with easy lift top and bottom handles for easy maneuverability. 5 zippered pockets provide more than enough space for all your gear. Features: 8 inch Top 6 full length dividers 5 zippered pockets including a velour lined valuables pocket with water proof zipper Easy lift top and bottom handles Padded dual carry strap and extra thick hip pad for comfort Pen sleeve Towel ring Velcro glove attachment Umbrella holder Tee holder Scorecard sleeve Rain hood cover Easy release tempered stand legs with Velcro strap to secure legs when not in use Light weight dobby nylon materials. If you have any questions about this product by Sahara, contact us by completing and submitting the form below. If you are looking for a specif part number, please include it with your message.